Nestled on a side street in downtown Toronto, Body Blitz is an urban day spa with the tag line “Health by water.” It is Canada’s first, women-only water spa and is a funky place to hang-out for hip Torontonians seeking to refresh and detox. As I caught my first glimpse of the water, I saw that I was about to enter a modern day Roman Bath dedicated to urban goddesses. Naked and barely dressed women were lounging in deep pools or on oversized and overstuffed chairs, while attendants circulated among them carrying trays of pre-ordered herbal infusions and health smoothies. The mood-lighting played up the facility’s brick walls, wood tones, and chunky metal fixtures creating a stylish and chic environment. There is a recommended circuit for taking the waters at Body Blitz. It starts off with a shower before entering. This is a good thing to do at any facility for sanitary reasons, but at Body Blitz, it is part of the experience. The showers here are the most luxurious public showers that I have ever experienced. They completely drench you with thick heavy drops that massage you, falling with their natural weight. The frosted glass cubicles are well stocked with Body Blitz’s own brand of natural bath products that are light and fresh. They use lime and mint to energize your skin and scalp while you suds-up. 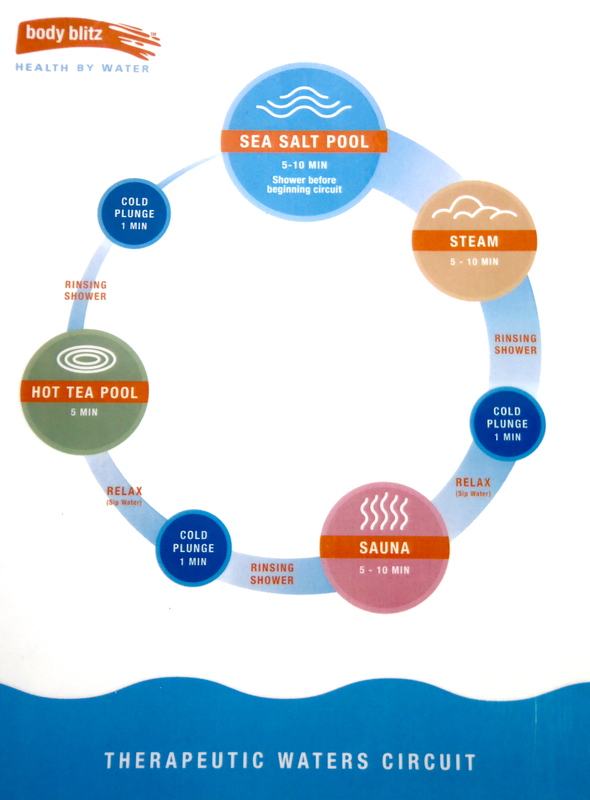 The first stop on the “official” water circuit is the sea-salt pool. The description says that it’s purpose is to warm and relax your body to prepare you for the steam room. 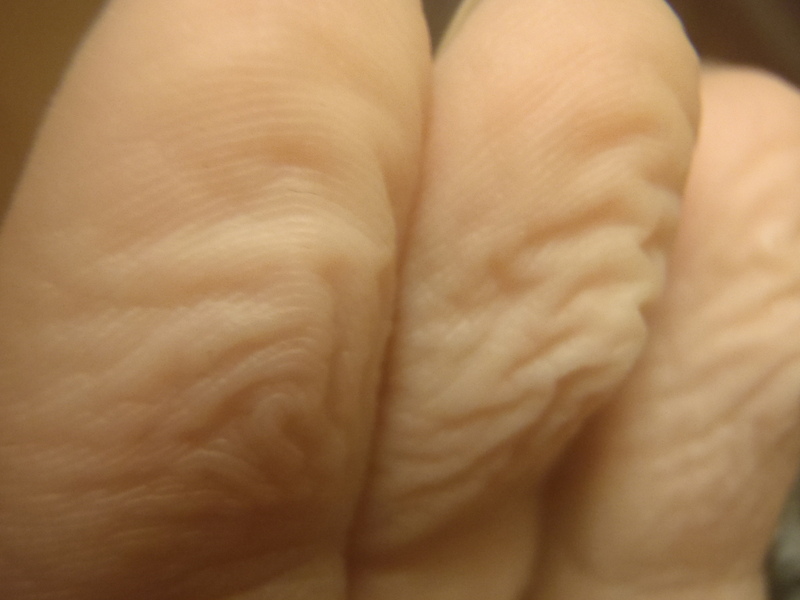 After my steam I rinsed the accumulated toxins off my body and marched into the cold plunge. This is one of the best steps, but it takes some courage to get used to. You need to stay in a heat source long enough to actually feel the benefit of a sudden cooling down and you also need to stay in the pool, up to your neck, for one minute. Doing this actually closes and refines your pores while stimulating your thyroid and regulating your heart rate. I find it exhilarating, but this time I was glad to know that I was on my way to the infrared sauna immediately afterwards. Though I am a sauna veteran, this was my first experience with the infrared variety. An infrared sauna uses radiant heat, instead of conductive heat, to warm the body creating an arguably greater effect than a traditional sauna. It was a good experience, though I did not find it to be drastically different in any way. After this, I was off for a rinse and cold plunge before heading over to the immune boosting, green tea pool. I got there just in time for my energizing smoothie to arrive. It was so heavenly I did it all again. Twice. 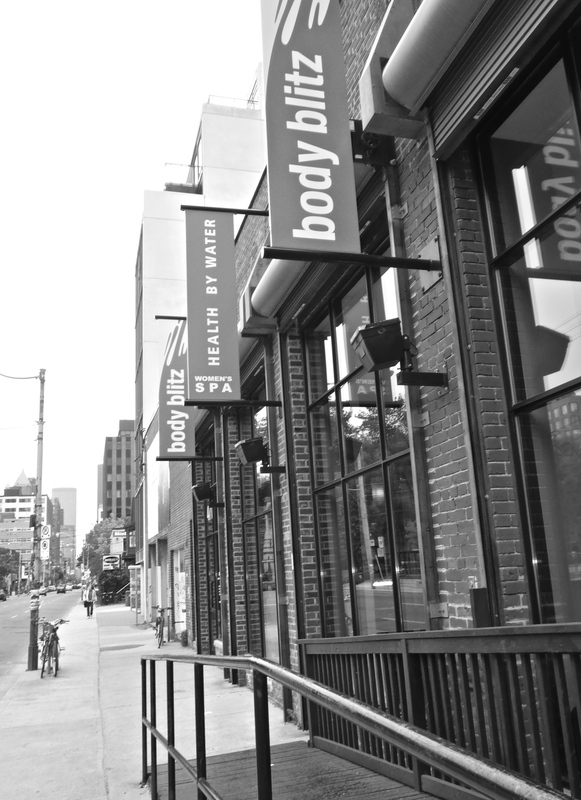 Body Blitz is conveniently located in downtown Toronto: on 471 Adelaide street, between appropriately named Spadina and Bathhurst streets. The various spa treatments available should be booked in advance but are not necessary to enjoy the facilities. Check out the treatment menu and before you go to maximize your spa experience and go on a Tuesday for an extra good deal on your soak.